Here at Shady Grove’s King’s Kidz, we strive to reflect the vision of Shady Grove by intentionally making disciples for Him through our study, actions, and worship. Our volunteers are committed to discipling children of all ages in order to teach and show the love of Christ. Whether you are a member or a first time visitor, we hope you join us as we learn about Jesus in fun, exciting ways! 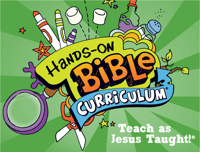 Join us Sunday mornings for our brand-new curriculum as we learn about the Bible through stories, games, art, and more! Children's Sunday school begins at 10:15. In "Gospel Light” for preschoolers, we strive with every Bible story to share the love of Jesus with our nursery kids, all while playing and having fun! Nursery is available to children birth-4 at 9:00, 10:00, and 11:15 and is located upstairs across from the choir room. Our children’s choir meets every Sunday morning after the 9:00 worship service in the choir room. We rehearse music to lead in worship throughout the year, which includes both seasonal and general worship pieces. Children’s Choir is open to all children from K-5 grades. Our children bond together during practices and enthrall the congregation each time they lead in a worship service. We would love to grow our choir by having you join us! Join us for as we learn about Jesus’ life and teachings through large group games, skits, art, small groups, and more! Don’t miss out on the fun! We meet on Wednesday nights from 6:00-7:30. Drop off is in King Street at the direct center of the building, and pick up is downstairs in the Children’s Area.